Soapbox specializes in public relations, public affairs, and political consulting, providing a broad spectrum of communications services to our clients. 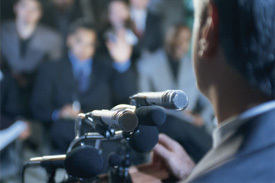 Soapbox helps businesses, organizations, candidates, and non-profits communicate their messages to target audiences. We research the way those audiences get their information and develop strategies and tactics to reach them with clear, straightforward messages. We have decades of experience in communications, public policy, media relations, and statewide and national campaigns and specialize in taking complex policy issues and making them accessible to the people our clients are trying to reach.